Thread: First waterproof Dive watch... ever seen it? Cam across this on my travels tonight... I have seen it before and its provenance has been much discussed on EOT... looks like the first diver and 'Noir' coated watch.. Probably in the top 3 or four rarest Illinois ever made. These DePollier cased divers were produced in 1919 and were first attempt at a waterproof military watch. Crown taper locks into flanges on side of case putting tension on it's cork gaskets. Dial is original, metal with great luminous numerals and hands ..some patina across it. Case is large for its time (1919) measuring 37.8mm x 42.6 mm overall . Case is brass with a heavy black finish has screw back and screw bezel with original glass crystal. These are extremely rare and have seen more in books than anywhere else! This one is in very high condition and everything including the crown is operating properly. This is only the third one of these I've ever owned and it's complete ,all original and ready to go!! That is a co-incidence, I've just spent the last 15 minutes on that site whilst looking for a Pershing dial Elgin...See my post on the main forum. Still luminous after 80 years? What material did they use? Strontium? Looks cool though an adapted pocket watch in a waterproof case. Actually, an even earlier dive watch could be this one - though I doubt Lt. Dixon intended it to even need to be water tight. Story about Lt. Dixon's watch on the Confederate submarine Hunley. So, did any of the true Rolex fanatics weigh in on this yet? I know this is a old post.But I have been watching this site with this Depollier for some time wondering when it was going to sell because the price was a little outrageous compared to what I paid for mine.Well it looks like some paid the high price for it.Was just looking on the web for Depolliers just to see what they sell for these days and this old post popped up. Yup, it's been on that site for 2-3 years I'd say. I've thought about it a few times, but the price seemed pretty dear. I always meant to go back at the seller with an offer one day, but never got around to it. 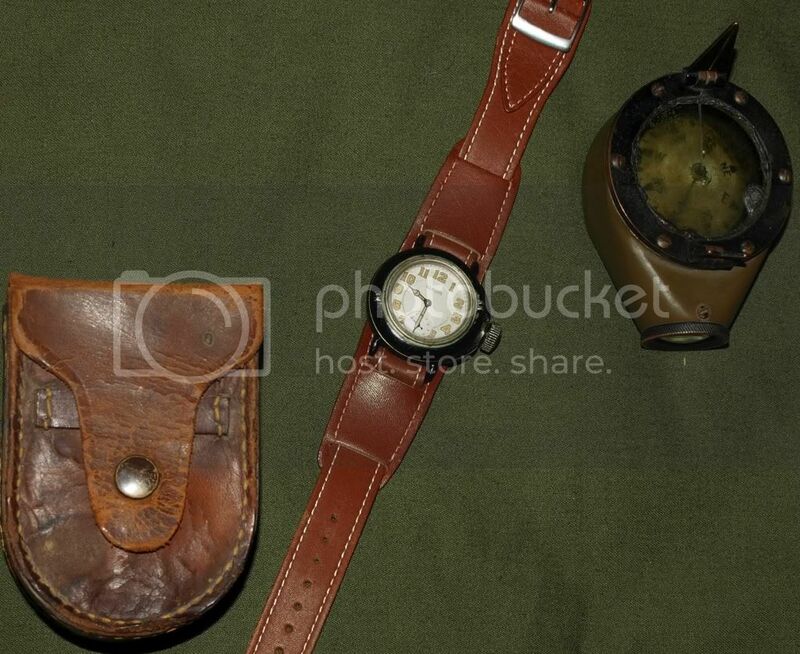 Here is a new shot I did to mine I used a WW1 marching compass mark VII as a prop. No, it is fár out of their range of sight. Rolex did not exist yet and would take longer still to buy the patent for a waterproof case. Far longer still before they would manufacture ánything under their own management.